The Armour Squonker kit is the latest creation from Bruce(maker of the Bushido RDA) and DOVPO. 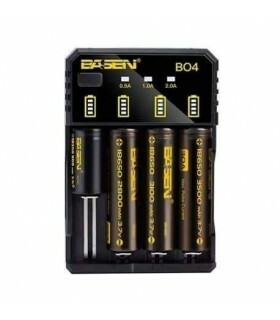 It houses 2 x 18650 battery in parallel, supports 0.09Ω to 3.50Ω, depending on the capability of your batteries, the wattage can go up to 130W. With built-in board, it features multiple protections, yes, always remember we've got your back. Less than 10ms firing speed, and dual battery installed, the experience you will get form this kit is beyond your imagination! Move the toggle to switch the device on/off. The device will stop firing after 10s of continuous vaping, LED indicator will flash 8 times. If a short circuit happens, LED indicator will flash 5 times in red. When temperature of the board is over 75°C, LED indicator will flash 5 times in yellow. Protection lasts 15 seconds. 1) When voltage gets lower than 3.2v, LED indicator will flash 10 times in red. 2) When voltage of either one or both batteries drop below 2.8v during vaping, LED indicator will flash 10 times in red.